Heat stress has been shown to be a leading factor cause of injury during fire suppression. With this in mind, Blowhard have created a tool to assist in active cooling – the Blowhard Misting Ring. The Misting Ring transforms your Blowhard fan into an effective recovery tool that assists in combating heat stress. The Blowhard Misting Ring fits quickly to the front of Blowhard Fans. 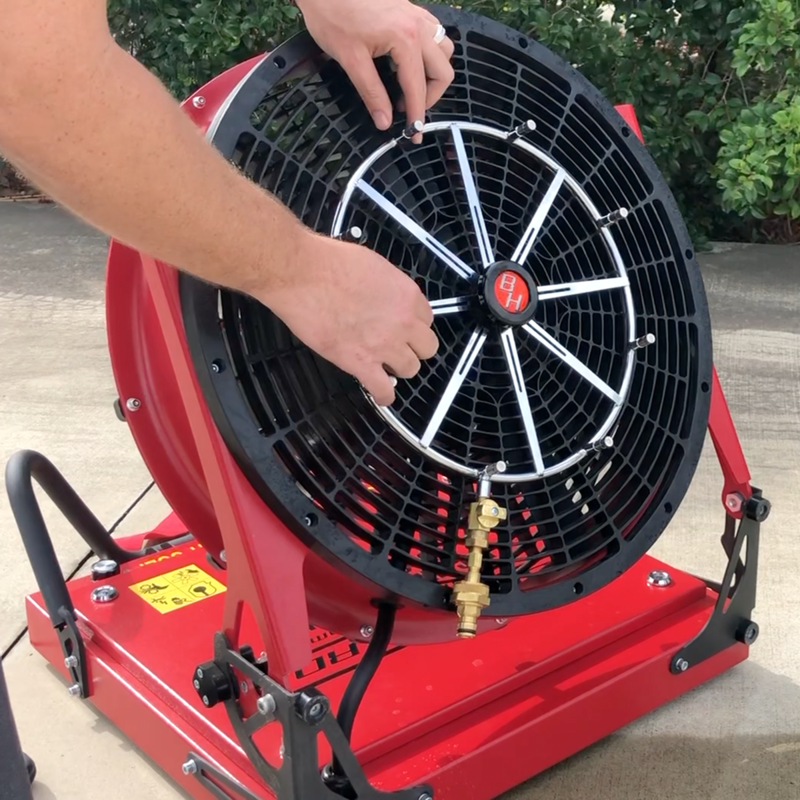 When attached to a regular, domestic hose, the Misting Ring creates a super fine “mist” which aids in firefighter recovery by helping to lower the core body temperature after training or an incident.